I’ve been seeing this Mercedes 200 Diesel at work semi-often lately. 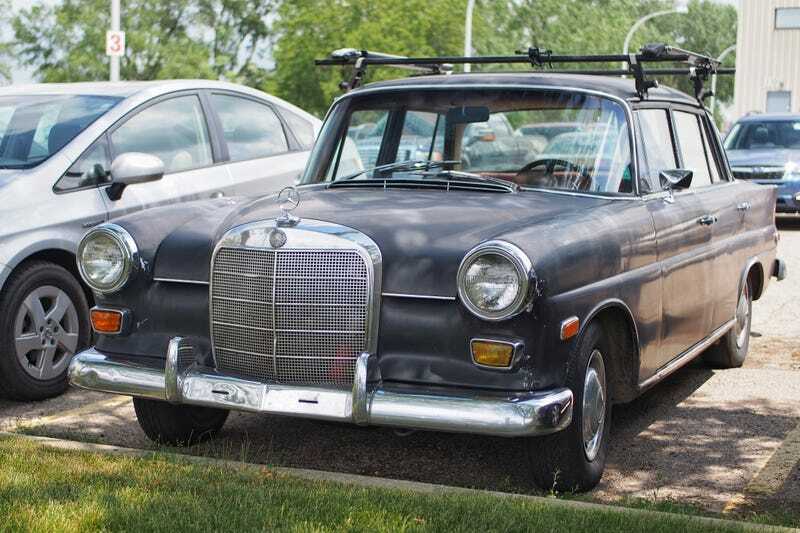 I have a moral objection to roof racks but otherwise dig it. It has Michigan plates on it and we have another location in Michigan, so if it’s someone from there who road tripped it here they earn back some points they lost with the roof rack.